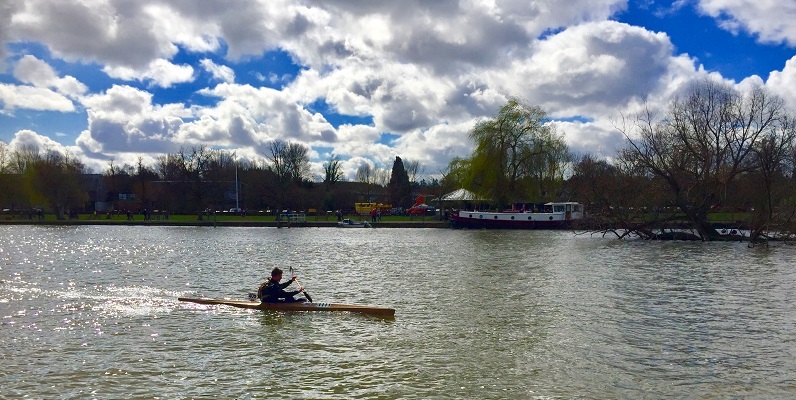 The second race in Reading Canoe Club’s Thameside series, 19 miles and 8 locks from just above Caversham Bridge and lock in Reading down to Longridge Activity Center below the lock in Marlow. 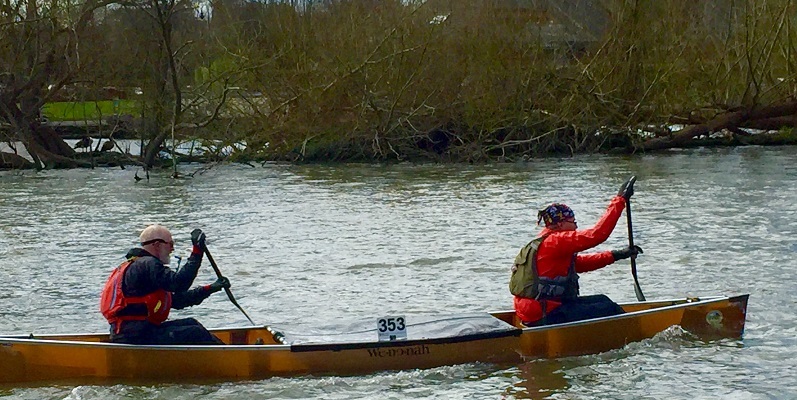 A good stretch of the Thames to learn before Devizes Westminster in just 5 weeks. 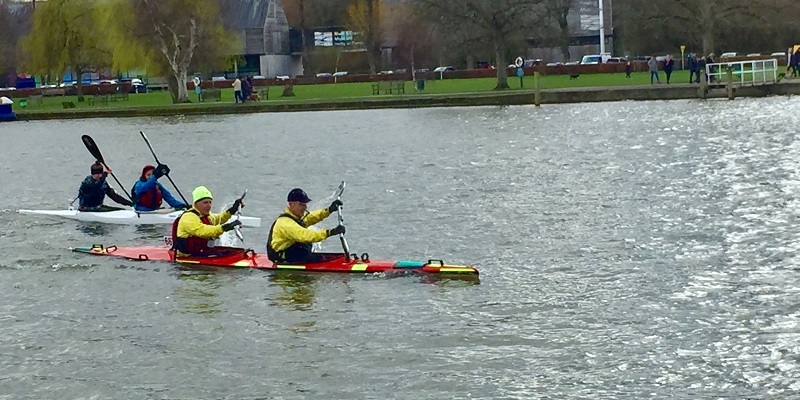 8 Devizes crews took part in the whole range of classes, in blustery and cold conditions and on a demanding course (especially the mass starts which are not for the faint hearted). 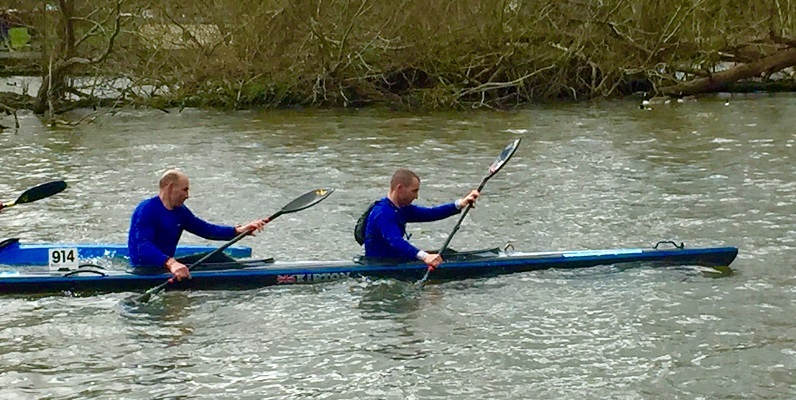 K2 senior men Steve and Mark, continuing their “Epic Tri” training, were 5th in 2.13.40. 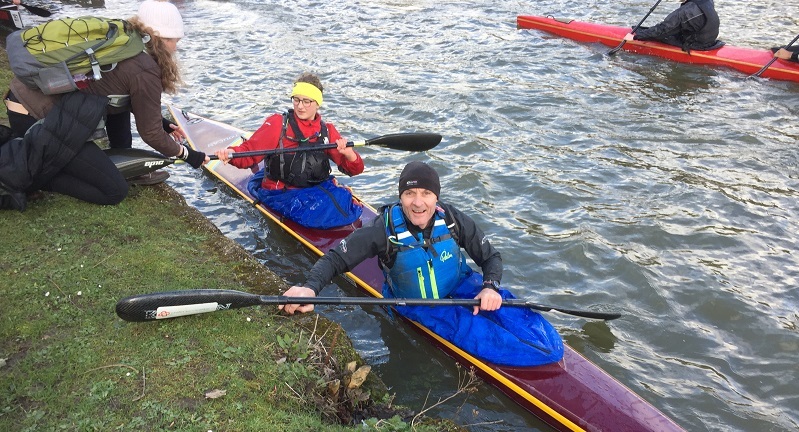 K2 vets Neil and Kevin were 3rd in 2.25.24. K2 junior men Finn and Josh in only their second race were 9th. K2 junior ladies Maddie and Catriona were 2nd in 2.46.12. K2 junior/vet Pete and Mae were 4th in 2.36.13. K1 vet men Matt was 6th in 2.56.11. And Charlie was 4th in junior mens K1 in 2.49.13. Next up, Waterside ‘C’ next Sunday, which will hopefully have another good Club showing.